Planet Rugby Forum • View topic - Ivan Mauger goooooonnnneeeee. Post subject: Ivan Mauger goooooonnnneeeee. Tributes are flowing for Kiwi speedway champion Ivan Mauger, who has passed away. Mauger had won six world championships. 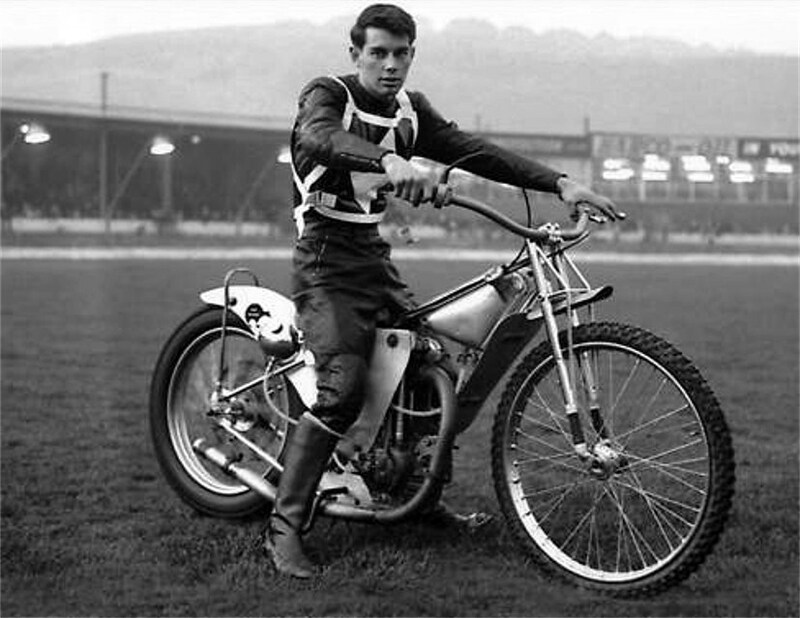 He was born in New Zealand in 1939 and rode for several British teams, including Wimbledon Dons, Newcastle Diamonds, Belle Vue Aces, Exeter Falcons, and the Hull Vikings. Legend. Watched him race many times, and when I was in Poland a few years ago, he was one of the Kiwis everyone knew, along with his speedway contemporaries. Post subject: Re: Ivan Mauger goooooonnnneeeee. Unbeatable at his peak . Lovely guy to boot . RIP you f**king legend . Watched him at the speedway in ChCh week after week when I was at high school -- a mate was seriously into speedway. As far as I know, he was related to the Rugby playing Mauger's. Not that iot's a competition, but Barry Briggs is still going strong. Ronnie Moore, Barry Briggs and Ivan Mauger. Kiwi speedway legends. 12 world championships between them. Yep. As soon as I mentioned thought of Briggs then looked him up to make sure he was still alive, I spotted Moore, Mitch Shirra, et al. Damn. Now THAT's how you namedrop. Well done on breeding a world class sportsman btw. I've heard Michael Jordan described as the Ivan Mauger of basketball... seems fair. Good to know Ivan was a good bloke, it's a sad loss. Yes, RIP Ivan. Good bloke and great rider. I used to watch him quite frequently in the late sixties and early seventies at Owlerton where I was a regular and at Belle View. My uncle had some sort of tie in with Arnold Haley, Sheffield Tigers' top rider, and took me along to pretty much every home fixture plus some away. God, that seems light years ago. Used to watch a lot of speedway with my Dad in the seventies at either Perry Bar or Cradley Heath. Just called him and told him about Mauger and he told me we saw him several times over the years. Haven’t been to speedway in years but can still remember the distinctive (two stroke?) smell. My mum grew up in West London in the 50s and said that the boys she knew were more interested in speedway then than football. Even in the 70s, the world final sold out Wembley Stadium. Long gone from London. I met him at the Ipswich Witches speedway track a longish time ago. Very nice man. These guys were superstars in the Scandinavian countries. No one would know who the All Blacks are, but they would all know the speedway guys. In Poland, as soon as I mentioned I was from NZ, they instantly talked about Mauger and his mates. Strange how sports can dip like that. American football was huge in the 80's when it was predicted to move past football. Then it dipped to a point it was laughable and now so popular again there's always games in London. They rode 4 stroke singles running, if memory serves, on ethanol. It would have been the fuel you were hoofing into. Mauger was one of our heroes as kids. We all used to fang around on our pushbikes wanting to be him, in between running around being Colin Meads and BG Williams. One of those people I thought had died a while back. The best gater of all time. Won absolutely shitloads due to being that good off the start. Afaik Ivan Mauger arrived from NZ as a nipper to join Ronnie Moore and Barry Briggs, 2 other World Class NZers at Wimbledon Dons raceway. There were a fair few London tracks back in the day. Some of the tracks seemed to double as greyhound racing stadiums. The distinctive smell is that of burning Castor Oil (Castrol R). They used it for lubrication and threw a bit into the fuel as well. Wembley and Stamford Bridge had dogs and speedway as well. Haven't been to Speedway for a couple seasons. They still run at the Rosebank track in Avondale frequently in season - Just past the causeway on the Northwestern. The bikes haven't changed much have they.. They still look practically exactly the same, and still lay the bikes over pre-start to get all the oil into the opposite side of the engine before they go fanging around the track. It's a good sport, and reasonably economical to get into and be competitive as far as motorsports go. I considered it myself a while back before the realisation more broken bones would be unhelpful when self employed. I think the last big event I went to was at Meremere with a 1/2 mile? track. They really wind up there, a frightening pace with such large sweeping turns. I know what you mean because I used to go to the local (Ipswich, Qld) speedway / trotting track a bit when I was a young fella. I was thoroughly aware who Ivan Mauger was of course - who wasn't? - but never saw him race live, alas. On t' telly only. I always associate Ivan Maugers name with World of Sport and it's coverage of speedway!